I’m trying to take a one week break from Venezuela news, but Tim Gill is not helping. Today he had another excellent piece in the Washington Post’s Monkey Cage blog. Previously our analyses of the potential direction of US-Venezuela relations under Trump suggested they could take any number of directions, depending largely who is Secretary of State (see Tim’s piece here, my radio interview here). 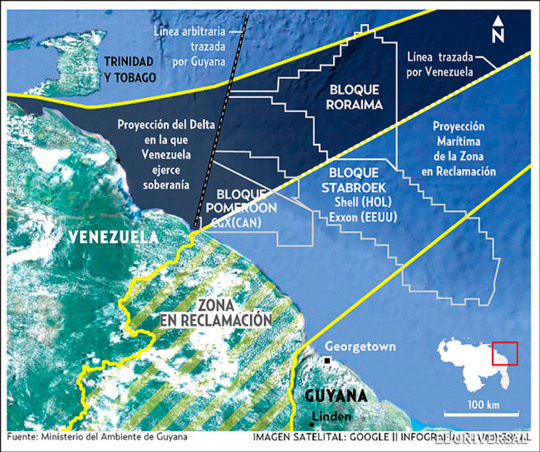 But with Trump nominating ExxonMobile CEO Rex Tillerson, the range of paths have narrowed, given this corporation’s history of conflict with Venezuela and recent involvement in the Essequibo dispute between Venezuela and Guyana. Given Tillerson’s background at ExxonMobil, we can expect the Trump administration to take an aggressive stance toward Venezuela. This may include sanctions on more Venezuelan state officials and even an end to high-level diplomatic meetings. Expect more friction over the next few years.